CAN'T DECIDE IF YOU WANT TO WEAR SILVER OR GOLD? 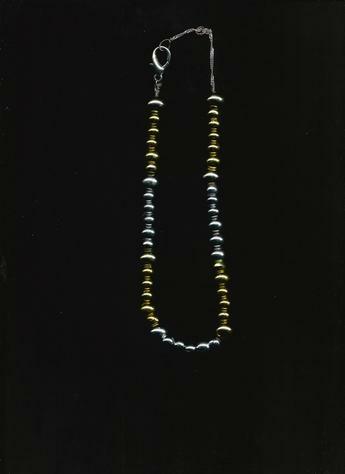 Easy-to-clasp, necklace with dual-bright faux gold & silver round beads is very comfortable & stylish to wear all year long! Can be purchased with the 6-inch gold-plated, matching Easy-to-clasp bracelet that has the bright dual faux gold & silver round beads! *FREE SHIPPING WITH BLR'S FASHION JEWELRY PURCHASES TOTALING $50.00 OR MORE!